A large heavy glass dome. 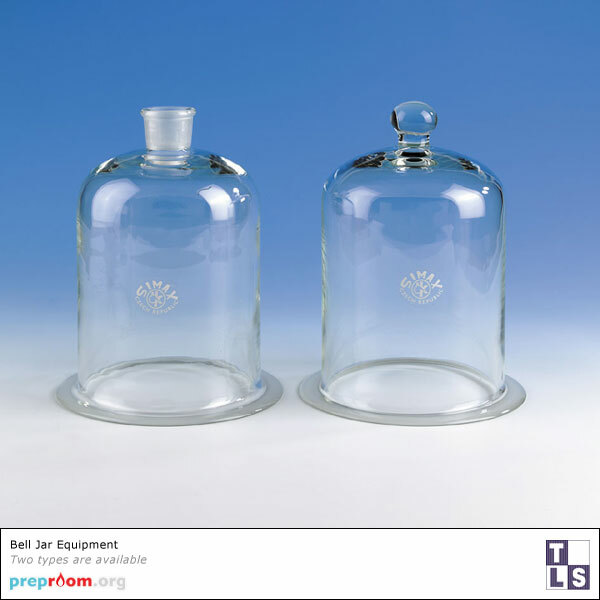 Two main types of bell jar are available and are pictured above. 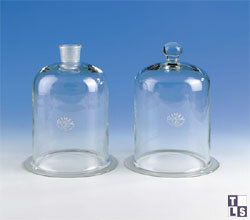 The bell jar on the left (see Fig 1) has an open top which allows for a bung. This is the type used in the 'bell in a bell jar' practical. The one on the right (see Fig 1) has a sealed top and should be selected if a vacuum plate is used to expel the air from inside. Various experiments require the use of a bell jar, usually to create a vacuum or near vacuum so see its effects on objects such as balloons and shaving foam. Bell jars can also be used in Biology where the sealed top variety is placed in a larger water filled trough. Air is blown through a tube into the bell jar which displaces some water. The amount of water the air displaces is equal to lung volume. The lung volume bag is a better option if you have one available as it is more accurate.